World-class venture firms have made investments in SMS recognizing our success in disrupting the traditional maintenance and repair industry by utilizing our proprietary technology platform. SMS Assist’s ability to deliver tangible savings to both customers and service providers is a testament to our technology platform and operational expertise. 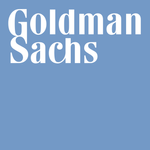 The Goldman Sachs Investment Partners (GSIP) private investment team is dedicated to late-stage venture capital and growth equity investing. The team partners with entrepreneurs globally to build disruptive businesses and, since 2003, has invested in over 100 private transactions, including Uber, Facebook, Pinterest, Spotify, thredUP, foodpanda, GoEuro, Cadre, and Compass. The GSIP private investment team has offices in New York, London, Hong Kong, and Mumbai. Insight Venture Partners is a leading global venture capital and private equity firm investing in high-growth technology and software companies that are driving transformative change in their industries. Founded in 1995, Insight has raised more than $10 billion and invested in more than 200 growth-stage software, eCommerce, Internet and data-services companies worldwide. The company’s mission is to find, fund and work successfully with visionary executives, providing them with practical, hands-on growth expertise to foster long-term success. Pritzker Group Venture Capital, formerly New World Ventures, helps entrepreneurs build market-leading technology companies at every stage of their growth. Since our founding in 1996, our firm has worked side-by-side with entrepreneurs at more than 100 companies, building partnerships based on trust and integrity. Our proprietary capital structure allows for tremendous flexibility, and our experienced team of investment professionals and entrepreneurs offers companies a vast network of strategic relationships and guidance. Successful exits in recent years include Fleetmatics (NYSE: FLTX), SinglePlatform (acquired by Constant Contact), Zinch (acquired by Chegg), Playdom (acquired by Disney), LeftHand Networks (acquired by Hewlett-Packard), and TicketsNow (acquired by Ticketmaster). Huizenga Capital Management is a private investment firm that has been successfully investing across a wide range of asset classes since its establishment in 1990. The Firm has a long history as an early value-added capital provider to private businesses spanning many industries, sectors and geographies. The Huizenga Family founded Waste Management and helped successfully grow businesses such as Blockbuster Video and Extended Stay America. Huizenga Capital Management is currently a key partner with SMS Assist.